If one lingers over the pastry counter at Cedar House, you could be forgiven if wholesome thoughts don’t come to mind first. The scones, Danish pastries and fruit turnovers baked in Kuek’s home kitchen have been honed and tested with superior ingredients. She would like to incorporate more European pastries into the menu, like mince pies in season, but Kuek balances tempting customers with satisfying their expectations. Little by little, the menu expands. The scones are moist with sour cream, and the buttery crumble—shot through with mixed berries, chocolate or more—melts on the tongue, especially when warmed, but they are not overtly sweet. Order a caramel macchiato for that added rush during a decadent afternoon break. The Danishes are generous with fruit and honeyed syrup, nestled in flaky crust. Monthly drink specials feature flavored lattes and mochas, such as white chocolate raspberry or dark chocolate cherry. Coffee beans hail from local roaster It’s About Coffee. 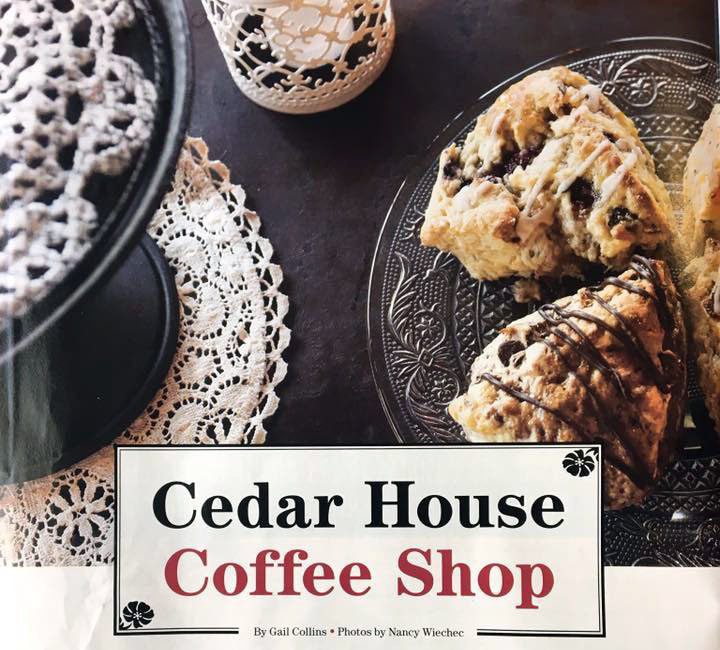 Cedar House is a community shop tapping into other local businesses. Quiches and light lunch items come from Brandy’s, breakfast burritos from Artisan’s Kitchen and sandwiches from Eat and Run Cafe. Artisan wares—embroidered clutches and pillows, signs, jewelry, aromatherapy goods, books, art and ceramics—stock display shelves for a bit of gift shopping between espresso shots. “It’s about local supporting local,” Kuek said. It was a steep learning curve for Kuek to navigate the legalities and red tape of business ownership in the U.S. 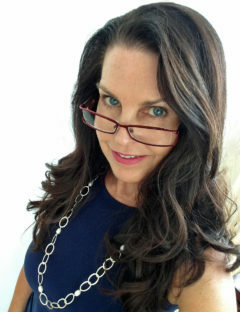 Still, managing and running a retail shop, she found, is very much like being a mom—scheduling, prioritizing and modeling behavior. Previous Previous post: Veg Out!